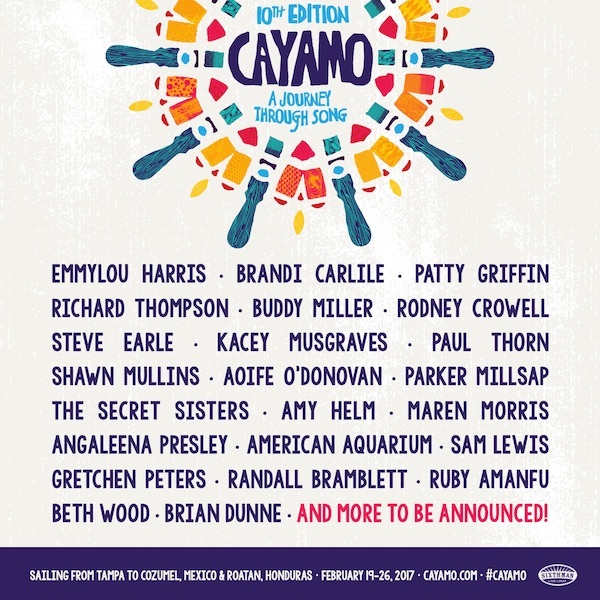 2017 marks the 10th edition of Cayamo – the grandaddy of roots music cruises – and I’m excited to announce I’ll be onboard! Cayamo sails from Tampa on February 19th – stops include Roatan, Honduras and Cozumel, Mexico – and the lineup is incredible: Emmylou Harris, Brandi Carlile, Patty Griffin, Richard Thompson, Buddy Miller, Rodney Crowell, Steve Earle, Kacey Musgraves. 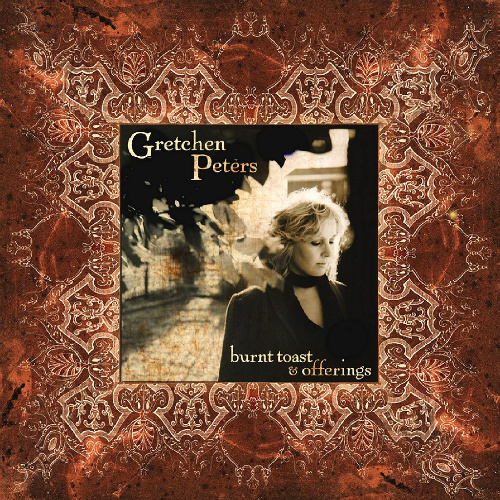 Paul Thorn, Shawn Mullins, Aoife O’Donovan, Parker Milsap, The Secret Sisters, Amy Helm, Angaleena Presley, American Aquarium, Sam Lewis, Gretchen Peters, Randall Bramblett, Ruby Amanfu, Beth Woods, Brian Dunne & more TBA. I’ll be joined onstage for all our shows by Barry Walsh on keyboards and accordion and our dear friend & bandmate Christine Bougie on lap steel, electric guitar and drums. More info about the cruise is available at the Cayamo website – join us!